The deal marks Google's first venture into fresh food sales. 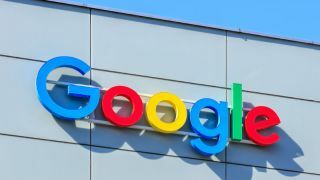 Google has signed a deal with Carrefour SA to sell groceries online in France, marking the first time that fresh food will be marketed through its online platforms. In early 2019, French shoppers will be able to purchase Carrefour's products through a variety of Google's platforms including Home, Assistant and the Google shopping destination in France. However, neither company has revealed the financial details of the agreement. The French supermarket business has become quite competitive lately as grocers have begun to expand their own digital offerings. In March, Casino Guichard Perrachon SA announced that it would sell products from its Monoprix stores using Amazon's Prime service in the Paris Area and last year a similar deal was reached between Casino and the grocery e-commerce technology provider Ocado Group Plc. Carrefour CEO Alexandre Bompard pledged to increase the supermarket's grocery e-commerce presence and reduce the company's dependence on big-box stores in France after being appointed to the position last summer. Carrefour will also adopt Gmail and other Google services in-house for its staff of over 160,000. To help the supermarket's employees prepare for the switch, Google will provide digital training to more than 1,000 employees over the next six months.